Wondering if the Misfit Flash or Misfit Shine work with Apple Health? When we considered getting the Flash, we searched, and couldn’t find any information on it except an obscure reference, but the App Store didn’t list it in the compatible category. Now having used the Misfit Flash, I can confirm that the MisFit App is compatible with Apple Health. As of this writing, the only data points that the Misfit app will send to Apple Health is Step Count. Distance travelled and sleep data are not transferred to Apple Health. Hopefully, this is something that they add in the future. At first it seemed like the step data would double count steps when importing into the Health App (if you have your iPhone 5S or newer in your pocket, it counts your steps too), but a few tests showed that it does not double count the steps from the iPhone’s motion chip and the data from the Misfit app. The Apple Health app is smart enough to compensate and not double count the steps. The counts at the end of the day equal. Misfit has been great. 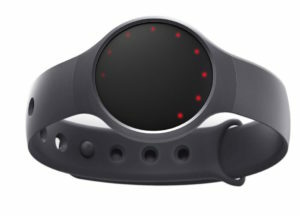 Looking forward to doing a more detailed review of the Misfit Flash.